We’re liking 2015 very much so far at BlossomCo!!! 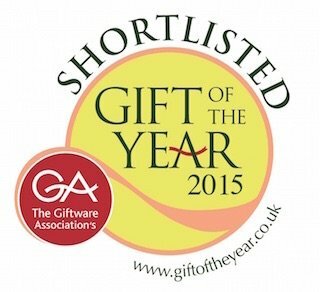 We were very excited to receive the news that our range of collars and leads have been shortlisted for the Giftware Associations’s Gift of the Year 2015 award for the Made in UK category! We’re hoping we’ll win of course, but either way we’re delighted that our range of handmade collars and leads has been recognised in this way. The Awards Event takes place at the Spring Fair at the NEC in Birmingham in February, so we’ll find out more then! We’re really looking forward to exhibition season in 2015 which continues in February with the brilliant Spring Fair International at the NEC in Birmingham. We’re in Hall 6 on Stand Q26 and the show runs from Sunday 1st Feb through to Thursday 5th February 2015… Come along and see us….We’d love to see you there. Gift Shop Owners Luck Changes with BlossomCo!